A number of national newspapers today focus on the late father of Prime Minister David Cameron being named in the Panama Papers, despite the Number 10 press team arguing yesterday that this was a "private matter". 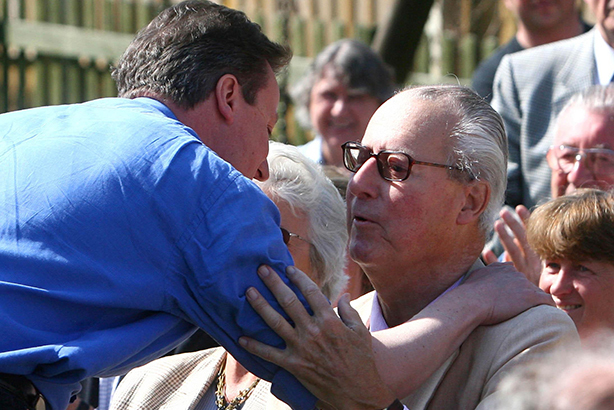 Four national newspapers (the Daily Mail, Guardian, Mirror and Times) lead with Ian Cameron, the PM's father who died in 2010, being named among the leaks about the widespread use of Panama as a tax haven by high-profile individuals and corporations, which has dominated the news agenda since late on Sunday. The BBC notes the contrast between the Prime Minister and his Government having previously spoken out against tax avoidance, and his father having "used one of the most secretive tools of the offshore trade after he helped set up a fund for investors". The International Consortium of Investigative Journalists, which has co-ordinated the reporting of the leaks, wrote on Sunday: "Ian Cameron’s tax-haven history is an example of how deeply offshore secrecy is woven into the lives of political and financial elites around the world. It’s also an important economic engine for many countries. The weight of that self-interest has made reform difficult." Yesterday, Downing Street told journalists at its lobby briefing: "This is a private matter." That line appears among today's newspaper coverage, and the Number 10 press team has since updated its line. A Downing Street spokesman said: "We've been making it very clear that the Prime Minister doesn't own shares in anything, and that's been on the public record for a long time." With tax avoidance high on media and public agendas in recent months, the focus on Cameron's family could put pressure on the PM from rival parties and other sources, but might also distract from the bigger picture, PR professionals say. Angus Campbell, who joined Stature PR last year to set up its financial division, said: "Today's headlines do not make good reading for the Prime Minister, especially since he has been consistent in driving home the message that aggressive forms of tax avoidance are unacceptable. "The problem he could now face is dealing with any claims as to whether he is using similar methods for his own tax affairs and this is likely to be an issue that opposition political parties will want to exploit." Andy Silvester, head of campaigns at the Institute of Directors and a PRWeek 30 Under 30 alumnus, who said he was speaking personally and not on behalf of the IoD, said: "You can't blame the media for focusing on the PM's father and it's absolutely fair game to ask serious questions on the matter. The problem will come if something as eye-opening as the revelations in the Panama Papers is reduced to an unedifying fight over one man who can't defend himself or his use of offshore connections. "If this leak has shown us one thing, it's that this issue is remarkably complex in the 21st century."